It's a rare opportunity to do an interview with both the musician and his luthier at the same time. Here's below an interview with guitar player Mika Tyyskä (aka Mr Fastfinger) with his luthier Juha Ruokangas. 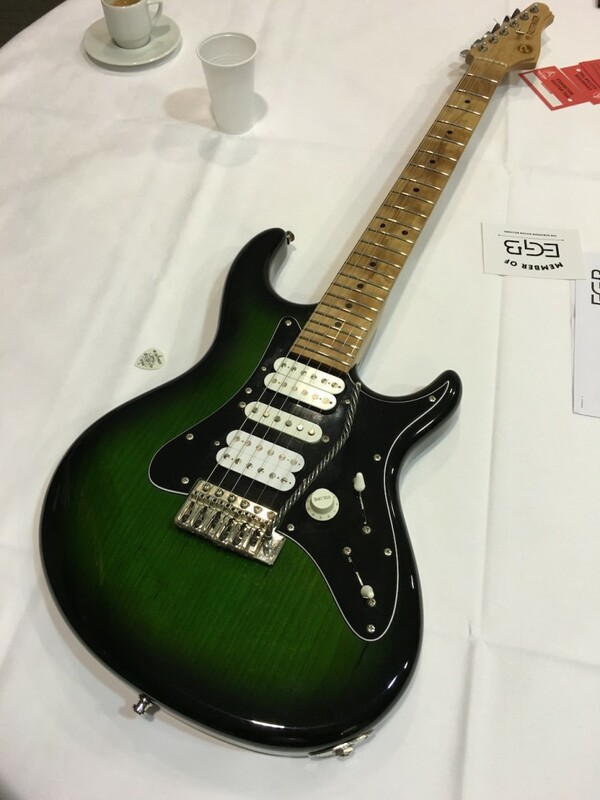 It was done during the 2nd edition of the Holy Grail Guitar Show. We discussed how they worked together on the guitar presented during the interview and with which Mika recorded 99% of his latest album Spirit Rising. It's a fascinating story to hear from the guitar builder and the musician how they came up with all the ideas incorporated in the final instrument. The full movie "The Spirit of the Guitar Hunt"
Be prepared to watch a full movie to discover all the adventures of the guitar built by Juha Ruokangas for Mika Tyyskä. Until the next interview, keep on playing your guitar!